Extremely precise locking system "Quick Lock"
The industry-standard for loudspeaker connections. 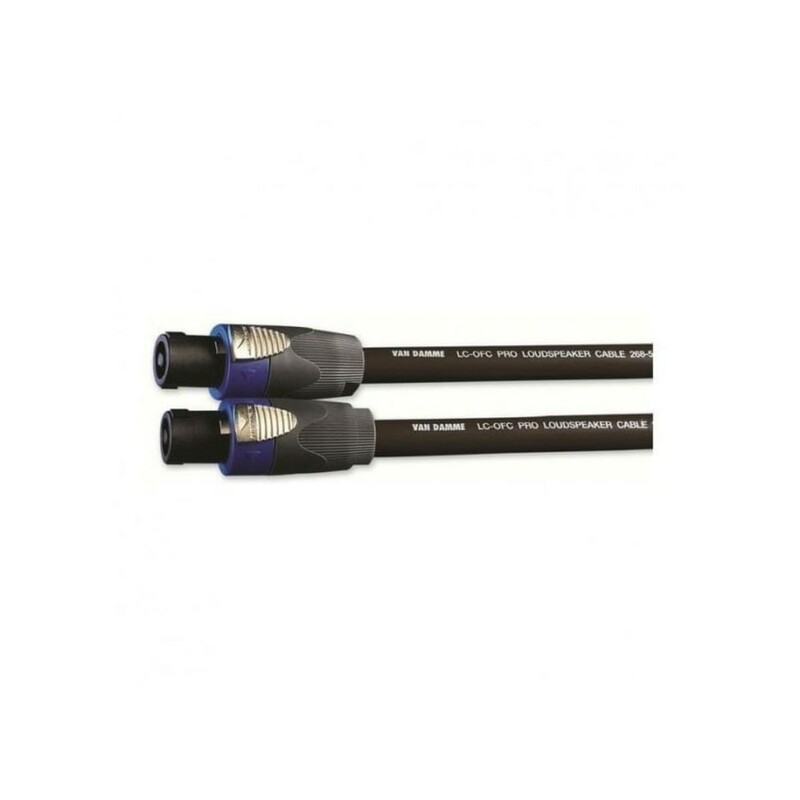 Van Damme Black Series Tour Grade Speaker Cable offers an incredible range of core counts and conductor sizes, covering most low impedance speaker systems. A top-class favourite in film and recording studios. Van Damme's microphone cables are a people's choice in high street music shops, professional touring applications and the education sector. The Neutrik NL4FX to NL4FX offers a professional solution to sound production. Designed to meet the requirements for the highest density jackfields, Neutrik sets standards in the industry. The X series offers all new features which make cables and connectors both more reliable and easier to assemble. With improved durability, as well as cable strain relief, the Neutrik jack plug is made to last.